While housing prices rise and hopeful homebuyers in Toronto and Vancouver complain about the housing crisis apartment rental prices in Toronto. And then there are those who don’t have the strength to get up off their sidewalk grates and jump for joy about the latest government program announced. What really is ridiculous about this is that our government is squeezing housing supply raising housing and apartment rental prices and then dressing themselves up as some kind of superhero. 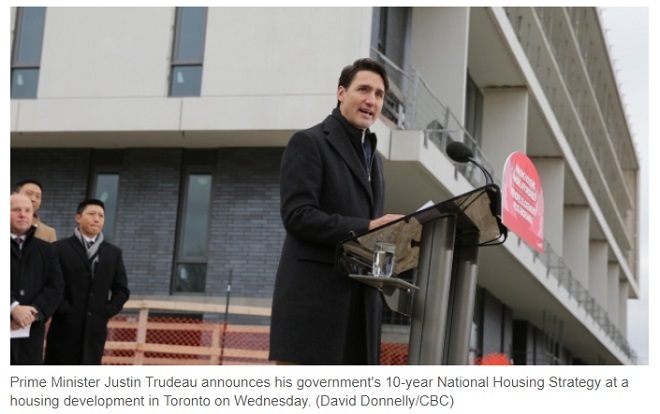 Amost on cue, jumping on the housing crisis easy button is our Prime Minister Justin Trudeau. With tired, worn out solutions pulled from history books, Trudeau is planning to spend $40 billion over ten years. He made the announcement during a recent photo shoot for media. The forecast is for higher rents, more homeless people, more social problems, and stressed low wage Canadians occupied more with staying alive than helping boost Canada’s GDP. And our growing numbers of foreign students will wondering whether Canada’s lack of student housing should make them choose the US instead. Prices for apartment rentals in Toronto are heading toward heights you’d normally associate with New York, Los Angeles or the Bay Area of California. Yet, they have much higher wages. 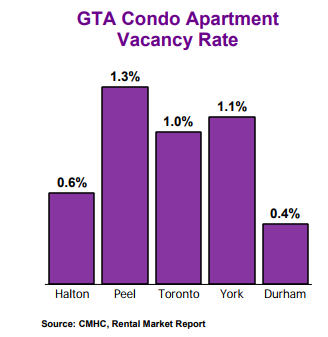 The CMHC’s report on rental properties shows a drop to a 1.1% vacancy rate, and it’s likely a good portion of those available units are high priced. The average rental price has risen to $1,296 per month, up 4.5 %. “The Toronto rental market is out of control,,,And because of that, rents are shooting through the roof. You go to a showing in some parts of town, you’re going to have a lineup around the block,” said Geordie Dent, executive director of the Federation of Metro Tenants Associations (from CBC news report). 11.2% to $1,976 in Q3 2017 over the same period last year. The average two-bedroom condominium apartment rent was up by 7.7% over the same period to $2,607. You can view TREB’s chart below. As a CBC report suggests, the big issue of 2018, 2019, 2020 elections could be housing affordability, particularly rent prices. The CBC coverage is very good actually and acknowledges the good and the bad, however not much is said about how we got in this hot water. Please Share this Post about our housing crisis. It’s a serious matter. A lot of voters rent. This isn’t something Prime Minister Trudeau has addressed seriously during his whirlwind, jet setting, global tours, but it’s an issue that will be waiting for him every day he arrives at his office until the election. The forecast is for a very tight election race because the only ones who might vote for Trudeau are the status quo crowd. It’ll be an interesting year coming up in Canadian politics. It’s housing, immigration, political pandering, and economic incompetence that will see Justin Trudeau leave office. Support for wages, housing and homelessness will not be coming rom foreign multinationals doing business here. Seriously, Landlords are the Cause of Low Vacancy and Homelessness? Incredibly, the CMHC is blaming rental increases on rogue, profiteering landlords. That seems to completely discount their brand new report of record low vacancies. 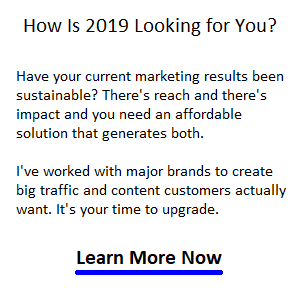 Does CMHC read its own PR?? Landlords are not government agencies the last time we asked, and they are allowed to make a profit like the Canadian banks, Ontario Hydro, etc. 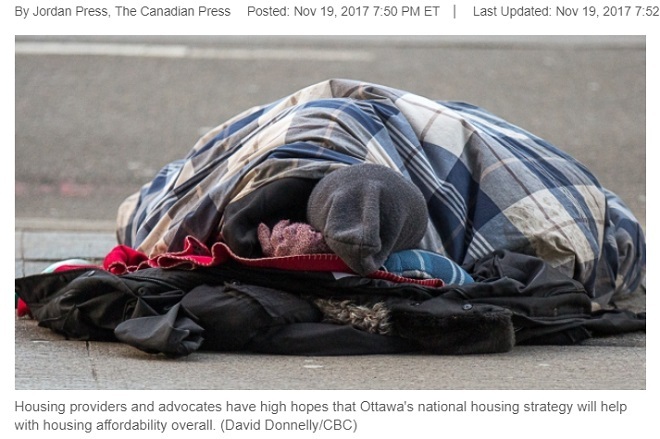 According to a CBC report, Trudeau’s national housing program will focus on chronic homelessness. The government says they will manage this professionally and reduce the number of homeless by 50% within the next 10 years. Of course, half of them will be dead within 10 years, so in theory, Trudeau’s vision is sound. Mark 1 for the PM. The new Federal housing program plans to spend $2.2-billion on homelessness but will delay that until the spring of 2019. That means 2 more freezing cold winters for the homeless. To understand the issue better, let’s remember that we’re in boom times right now. If the economy falls back into recession, the number of homeless and poverty level people falling through the cracks will rise. Will billions of tax dollars earmarked be enough to deal with a recession? What have the governments of Ontario and Canada been doing to the housing industry? Strangling it. Only by freeing up developers and land, and creating big tax incentives will the problem be eased. The proposed housing would built over 10 years likely won’t accommodate the homeless now, let alone those who will be entering that world over the next decade. Housing is just one aspect of a miserable problem brought on by Free Trade and globablism. 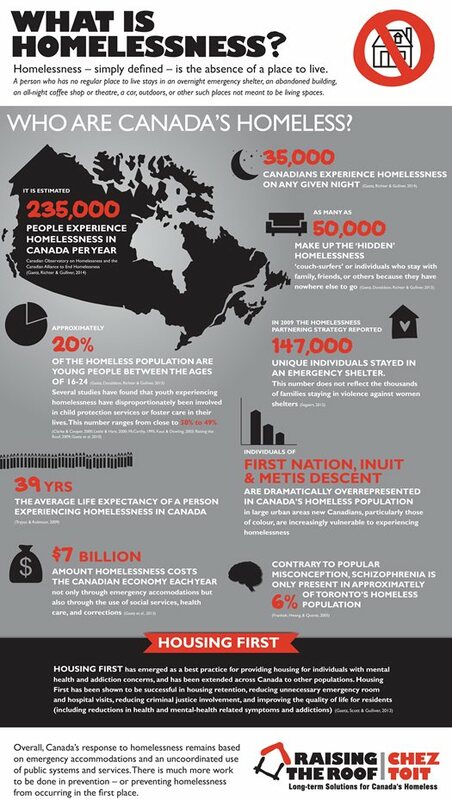 Even when housed, millions of Canadians still need food, medical services, and jobs. As more Canadians plunge into minimum wages, pushed out of the workforce by retirement, foreign competitiveness, factory automation and artificial intelligence software, the picture is not so nice. If the Liberal governments had focused on building new houses, condos and multi-tenant buildings, the pro-housing response wouldn’t have been needed. Now Trudeau’s going to plow $40 billion tax payers dollars into another band aid solution. It’s another sad act from a government that thinks it’s still 1980. Every decade, including the era of his father, we’ve had the same “government administration and red tape” programs that create crises and then pretend to solve them with expensive government programs. Having no government at all would be cheaper and more effective. Not that we’re ungrateful for marijuana legalization and methadone clinics. If government was out of the way, the Toronto housing market would heal and thrive. So would the real estate markets in Vancouver and Calgary. 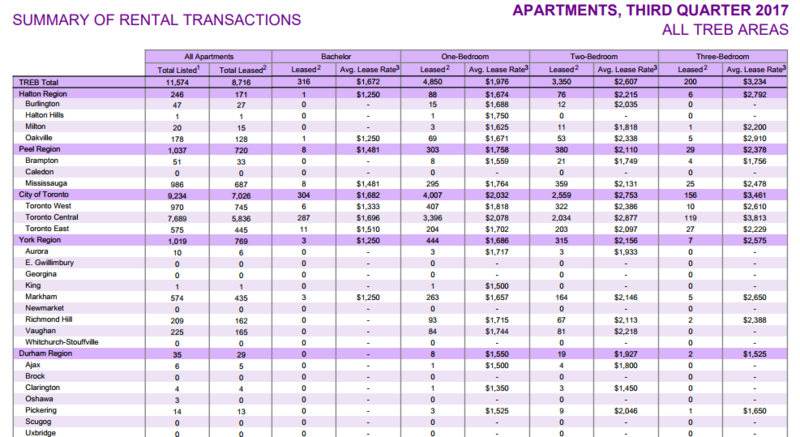 Check out TREB’s 3rd Quarter Rental market report.